……That should be your middle name! We can’t thank you enough for being the backbone of the entire planning procedure! You are not only professional, punctual and efficient, but polite, caring and accommodating, all with a friendly face to top it off. Needless to say, it wouldn’t have been the same without you at the helm. We are so grateful for your part in making our special day so memorable. 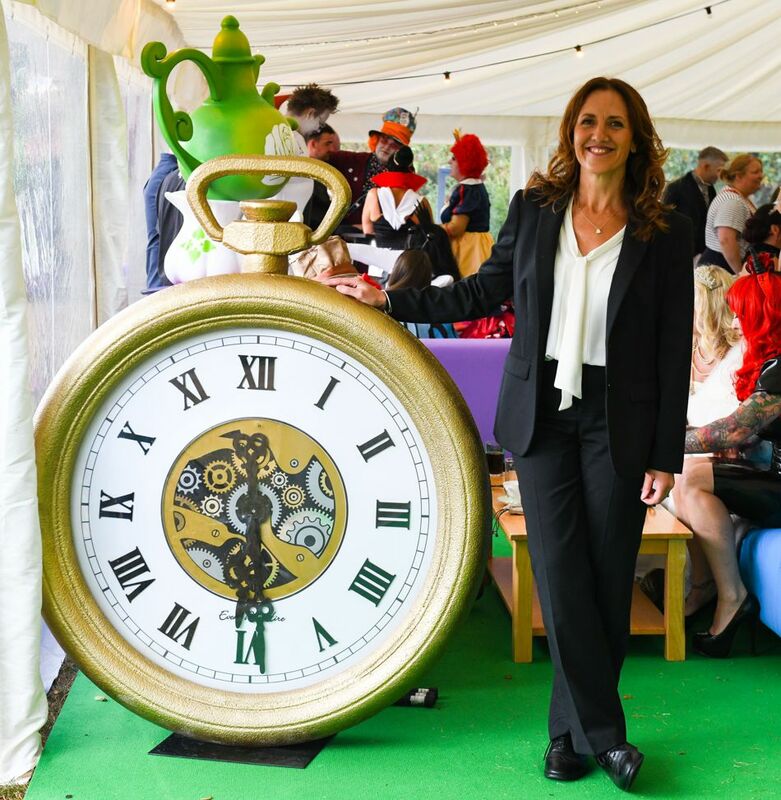 An important company celebration, in our case the success of our Facebook brand Aunty Acid, with attendees from all over the world needs to run smoothly, especially when it’s a themed costume event and more especially when it’s Alice In Wonderland at a private Castle. 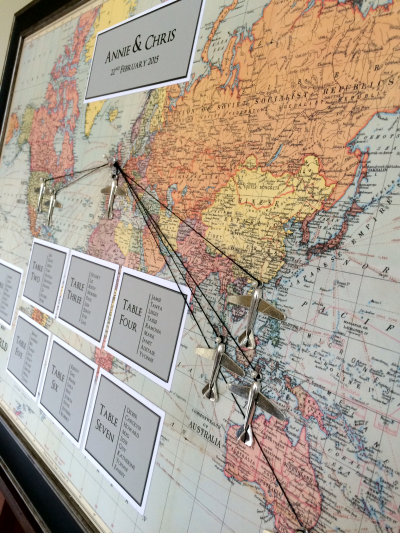 You need a party planner who understands what you’re looking for and then can co-ordinate it all with effortless precision so you and your guests can have an exceptional time safe in the knowledge that “All is under control”. That’s where Eleanor Gail comes in. Gail took complete control and the event ran like a well-oiled machine from dealing with the catering company to cleaning – from advice and recommendations of the little extras you may need – she even designed and made the table top creations, all done with effortless precision and a smile! We were impressed as were our guests how Gail ‘ran the show’. We can’t recommend her highly enough, and in all our events going forward, like champagne on arrival Gail is a party essential!! When we began planning, little did we know how challenging the wedding of our dreams would be. 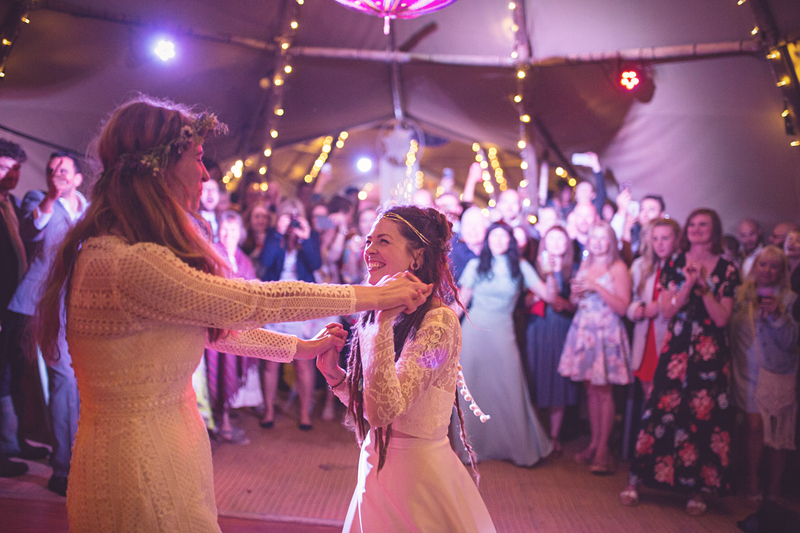 We had a vision of an outdoor, festival themed tipi wedding and had already booked a glamping site with bare minimum facilities of water and two compost toilets, in which we wanted to host approximately 140 guests. Naively believing we could achieve this in a short 6 months, thank goodness mum had done her research and found Gail! We were apprehensive about having someone else on board, as we had a strong vision and alternative ideas. When we first met Gail we instantly clicked and we were blown away by her attention to detail, especially with regards to the logistics and many things we hadn’t even considered! We knew then that we wanted Gail on board! 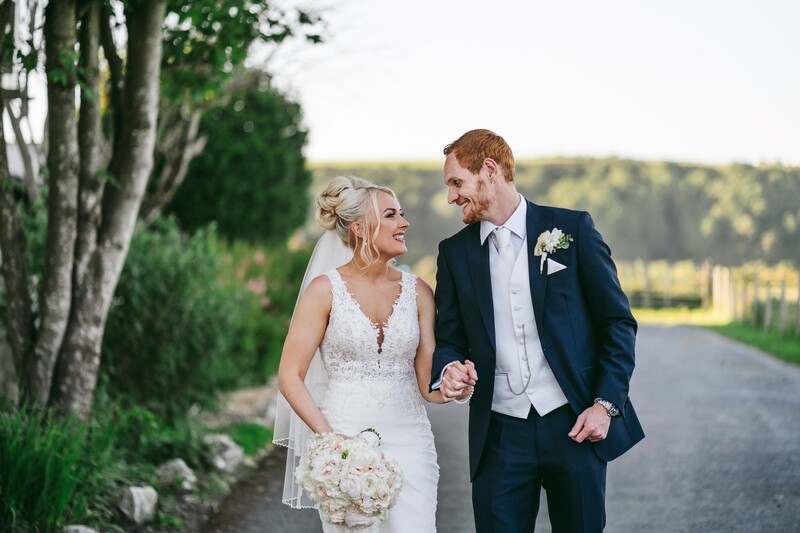 It soon became clear that not only is Gail extremely experienced and knowledgeable but she has many contacts, she is incredibly organised, very creative and is utterly devoted to making your dream wedding a reality. She really became an invaluable member of our team! We had regular wedding meetings which were always a pleasure! Gail would always come extremely prepared with work and research she had done. We would cover many aspects of the wedding, make decisions and have lots of laughs at the same time over coffee and cake! When we weren’t with Gail, her communication was equally superb. As the wedding drew nearer, and as things stepped up a notch, so did Gail! She was the link and communication between all parties, from catering to flowers to toilets while we both worked full time, which took a lot of pressure off us. There was a huge amount of ‘set up’ the day before the wedding, so it was all hands on deck. Gail was there project managing all the logistics whilst helping decorate and organising the set up of all the equipment. We definitely couldn’t have done this on our own! On the big day Gail was absolutely outstanding, we didn’t have to worry about a single thing! 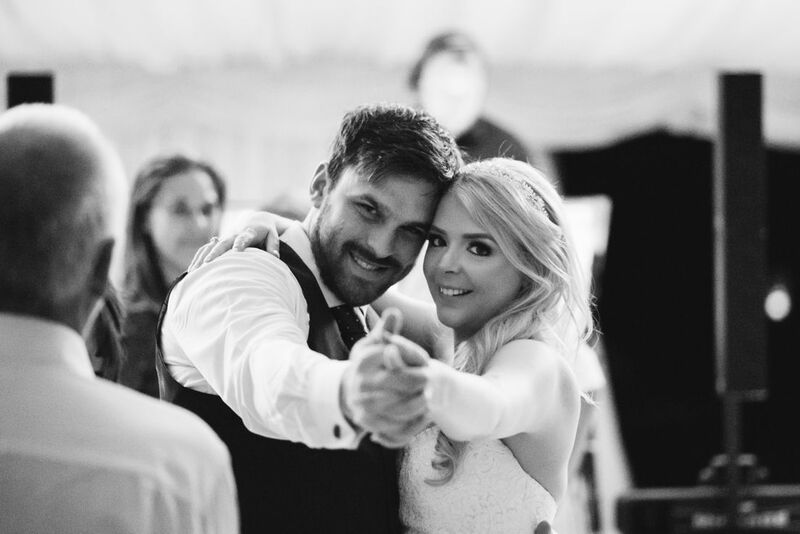 She orchestrated everything from the running of the day to the catering staff, to even producing a jack lead cable (that we’d forgotten) from her car out of an emergency wedding box – without this cable we wouldn’t have had our first dance! We cannot speak highly enough of how much having Gail on our team meant. She is so talented. Her organisation is exceptional but she is also extremely creative and has amazing ideas. Gail is a such a wonderful person and it was emotional to come to the end of our wedding journey with her, however we’ve made a friend. Thank you so much for everything Gail! Well lovely lady, where do I start? We can’t thank you enough for everything that you did to make our day so perfect. It truly was magical and certainly a day not only us, but everyone else will remember too. You are one very special, talented lady. We could not recommend Eleanor Gail highly enough! 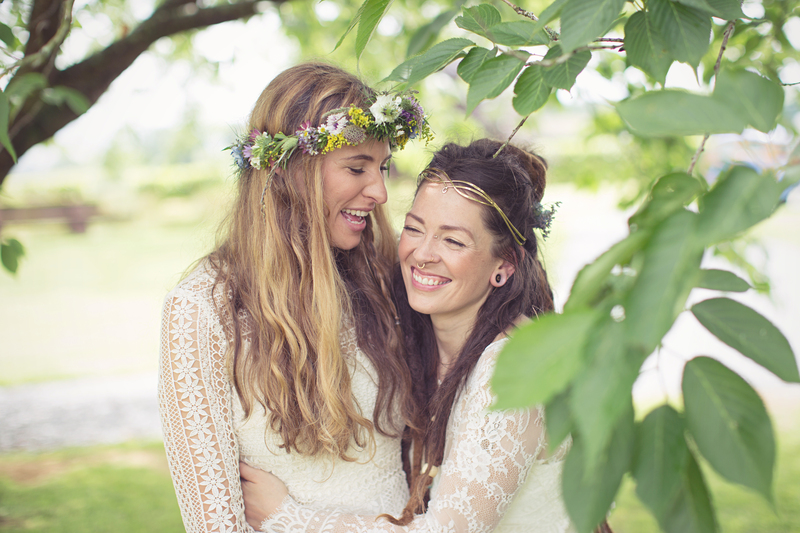 Working with Gail was one of the best decisions we made when planning the wedding. She completely put us at ease before the big day. On our wedding day she intuitively knew what needed to be done and made sure it was seem less. Also, she is a truly lovely person that made one of the most important day of our lives even more special. We just wanted to say a massive thank you for all that you did on the 14th. We had the best day and we really appreciate all your help, so thank you so much!!!!! You were so great! We were running out of time to find a venue for our wedding reception and looked up Gail. We gave her a tricky task – a small job to find the venue and we wanted a quirky set of options and already had a pizza van booked. She trawled through options – most already booked – phoned around, negotiated, challenged when people didn’t get back to us, and gave us three really strong options that met our specific requirements. She helped us negotiate on price. What we appreciated most is that she’s very approachable, listened to and then understood what we wanted and gave us confidence we could pull this thing off! 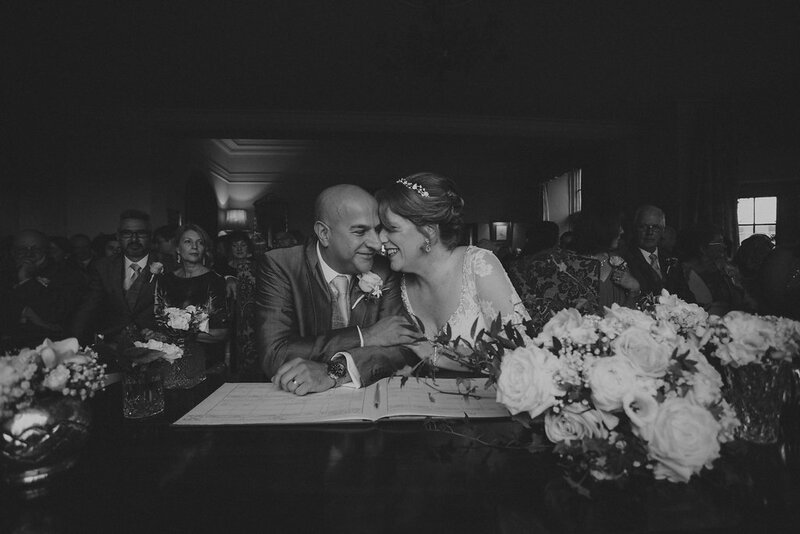 Planning our wedding at Glanusk Estate was a mammoth task. While the setting was beautiful, we needed to source nearly everything ourselves – from power to water to toilets – for 270 people. But thanks to Gail, the process went very smoothly. Gail is friendly and approachable which makes working with her an absolute pleasure. 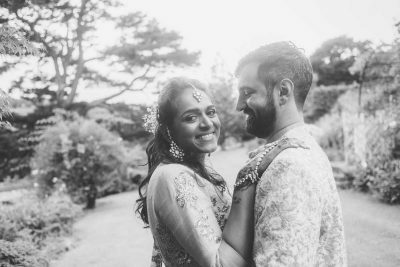 She is meticulous in her planning and let us regularly up to date on anything to do with our wedding which made everything a lot more manageable. 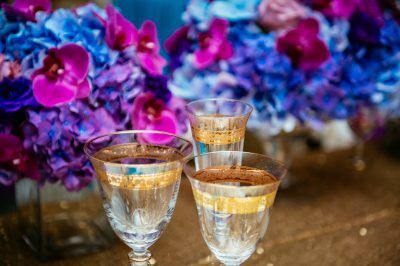 Gail is extremely creative and well connected and brought so many ideas to the table when it came to deciding on decorations and considering suppliers – things we wouldn’t have come up with alone. She also worked in our budget to make sure we were able to have the wedding we wanted without going overboard. Gail literally made our wedding day. It couldn’t have gone any better and we highly recommend her to anyone who asks! I have to say that I had never thought about what my wedding would look like and so when my boyfriend proposed, I literally had no idea where to start! I hadn’t thought about the dress, colours, what the bridesmaids would wear or where it would be, let alone who would be the photographer, who would do the flowers or who would do the invitations. I had no idea there were so many options for everything and I certainly had no idea about all of the tiny details (matching typefaces for all stationary??) that are involved in this life changing ceremony. It is, however, my extreme good fortune that one of dearest friends is the fabulous Gail at Eleanor Gail. We have known each other for 20 years and during that time I have seen that Gail’s strengths are her incredible capacity for organisation, minute attention to detail and she is a master at negotiation. She has steered me through the whole process with such professionalism and knowledge that both my husband and I credit the success of the day entirely to her. Gail put us in touch with the most amazing photographer, a stunningly artistic florist and a fantastic make up artist. My husband and I live in the Cotswolds where there are lots of wedding venues but we were overwhelmed by the options available to us here. We were chatting to Gail and she suggested Llangoed Hall. As soon as we approached, we were absolutely ready to sign on the dotted line. It is the most stunning venue, a magical place with an atmosphere that was immediately enchanting. The fact that Gail had already organised weddings there, and knew the staff and how the Hall operated, made it a fait-au-complet. Everything was easy and we had every confidence in her choices and recommendations. When I think of our wedding now, it brings me to tears. It was the most perfect, magical, amazing day and I never, in a million years, thought it would be possible to create something so wonderful. Everything happened like clockwork but at the same time, everything was so relaxed with our guests telling us afterwards that they had the best day as well. This is entirely due to Gail’s knowledge of the industry she is working in, her ability to interpret my very vague ideas and her calm professional manner. I would not hesitate to recommend Gail to anyone. 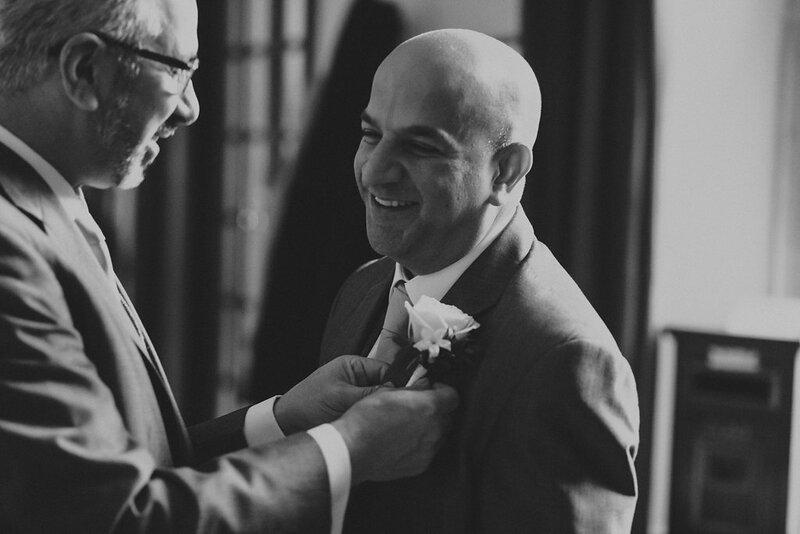 To entrust someone with the organisation of such a special day takes trust. I, of course, had complete faith in Gail as I have the advantage of having known her for so long. However, we have never worked together during this time and so to see her in a professional capacity was something new for me. I knew she would be brilliant. She cares enormously about her work and is absolutely, entirely in her perfect job. She is, without doubt, an expert in her field who will help you experience the most relaxed, amazing, beautiful day of your lives. From the outset we both had an idea of the type of wedding that we wanted, but little idea of how to make it happen. Once we were engaged we were keen not to wait too long to tie the knot, we set about buying wedding magazines, reading blogs and basically devouring anything wedding based. We live in the Cotswolds so we are inundated with potential venues all vying to host your special day. Having looked through various websites we visited a few venues locally and weren’t impressed. Everything seemed impersonal and formulaic rather than listening to what we were looking for and trying to accommodate us we were offered packages “£000 will get you this, that plus 1.25 glasses of fizz per guest” the opposite of what we had dreamed of and not lighting our fire at all. We moved on from here feeling a bit disheartened and explored hiring a large venue where we could accommodate our guests overnight but we would have to organise absolutely everything from the caterers to chairs and so on, we would get the (very large and impressive) house but that was it, the rest was up to us. We booked to view it, feeling a bit daunted and Nicky mentioned it to Gail who simply said “if you’re looking at that why don’t you come and have a look at this” and so began our journey with Gail and Llangoed Hall. We agreed to visit soon afterwards having scoured through their website and pretty much agreeing that unless it was horrendous we would book it on the spot. Which we did, thankfully! Having secured the venue we then had to fill in the blanks. Llangoed had given us a folder full of brochures for various providers, photographers to florists, wedding favours to DJs – we didn’t know where to start! We turned to Gail for her help through the maze and she started by giving us two photographers. We booked the first one whose style we preferred, encouraged by her professionalism we leaned on Gail more and more, she introduced us to the florist, make up artist and many others who we went on to use. She steered us through the process, the etiquette and some of the seemingly minor things that made our day just extraordinary. Throughout this time Nicky and Gail were in constant contact, occasionally I would chip in with the odd question for clarification but I felt that we were in safe hands. Our day soon came around and Gail’s finishing touches such as the hand produced order of the day and the mirrored table plan added those final bits of magic to the day. 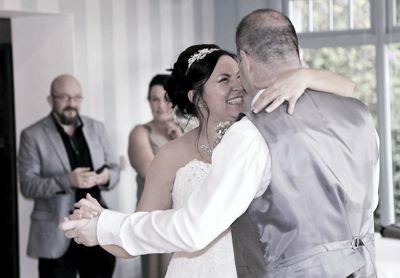 I could be biased but I feel that because of Gail ours was the best wedding that I have ever been to, a sentiment echoed by many of our guests, they loved how we did everything and the relaxed but smooth way that the day ran. 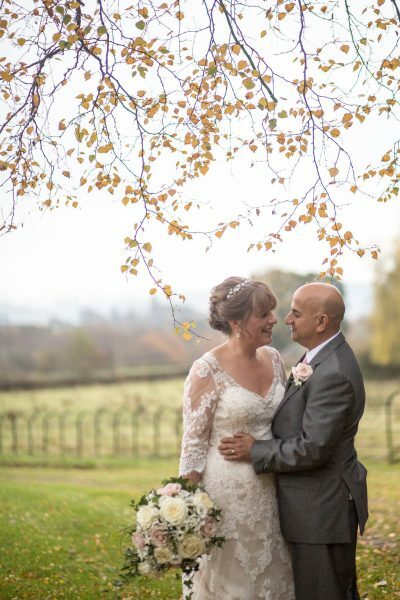 My overriding memory of Gail is her telling us “make sure you practice how you’re going to kiss when the registrar tells you, you want it to look right and you only get one chance” – now that’s dedication and why you should have no hesitation in hiring Gail for your special day. I have to say it’s not easy to hold a wedding in foreign country. Fortunately, we had Gail as our wedding planner. 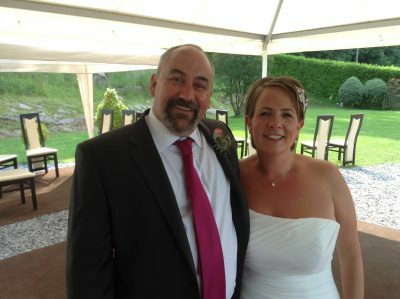 We contacted many wedding planners but we chose Gail who understood what we wanted from our day. 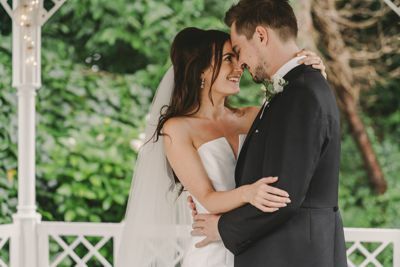 She helped us to deal with the marriage legal documents, introduced the processes of the British wedding to us, found our wedding venue and visited the venue with us many times. On our wedding day, the decorations were amazing! The flowers on the table, the wedding arch, the garlands and the table planner… everything was so beautiful. 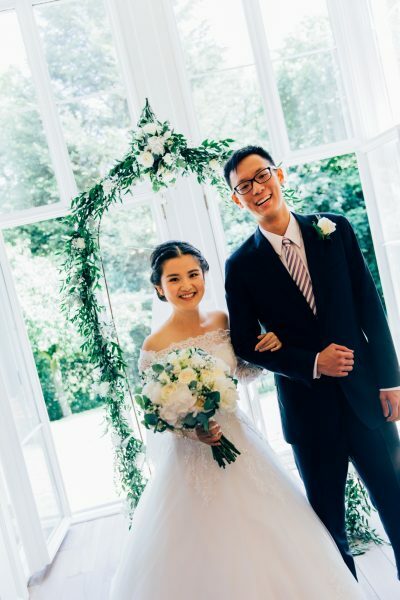 It was exactly what we wanted- an elegant British style wedding. 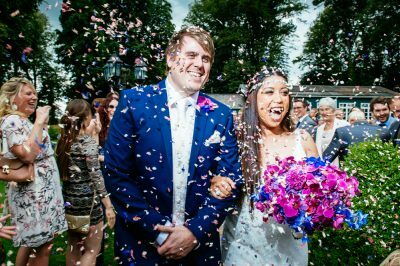 Our family and friends really enjoyed the day and many of them told us it was the best wedding they had experienced ever. Thanks for everything, Gail. We had an amazing wedding day that we can remember forever. 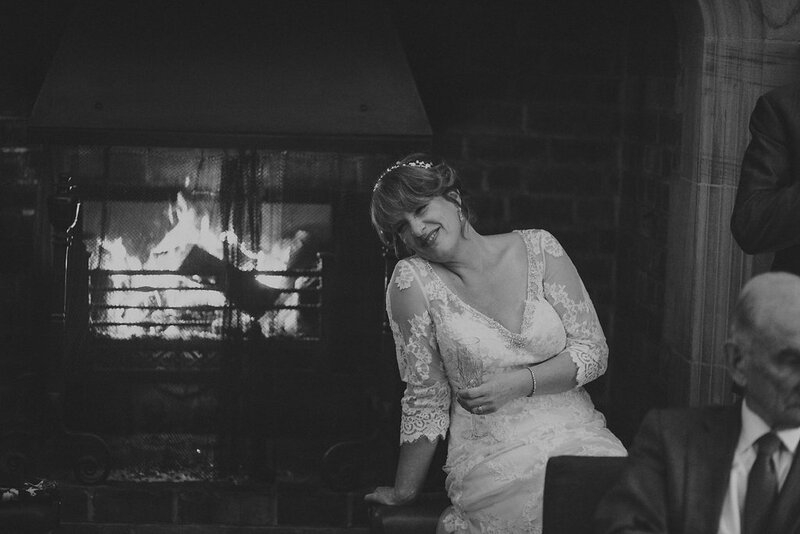 I met Gail at a wedding fayre in Manor Park and over the course of a year or so we brainstormed ideas, talked weddings and provided a great service. 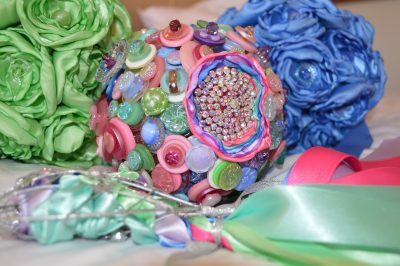 When I saw Gail’s collection of button bouquets I instantly fell in love and I knew that was just what I wanted! She advised me to create a pinterest board to gather ideas, both for myself and for her reference. Gail was very helpful, I told her my colour scheme and she came up with different ideas to match the bouquet to this, gave me different suggestions and showed me previous bouquets. Over time, and many a chat we came up with the perfect creation for me and my bridesmaids. I was completely speechless when I went to pick up my bouquets from her house, I could not stop looking at them and I was amazed at how much detail had gone into her work. Not only did Gail create my bouquets and button holes, but she made custom sandals for my beach wedding and hair accessories! She was always happy to help and each design was so intricate and had so much detail. My bouquet is personal to me and I treasure it, in fact my bouquet is on display on my living room and has become a talking point! Unlike other bouquets which you can pay a lot of money for, I am able to keep this forever and the bridesmaids’ bouquets became a great gift for them to keep. During the wedding, our party and since, everyone has asked me about the bouquets because they are just so different and striking! I am still so happy with them and so glad that Gail was there to help throughout our wedding planning. Gail provided great service, but was also there to help with any problems I had with wedding planning. She’s a great friend and I would definitely recommend her services! I cannot even begin to express how incredible Gail has been. From the very start, when I had worried that perhaps I simply wasn’t “weddingy” as I was concerned that my tastes were just not appropriate for a wedding, Gail did not hesitate in the slightest at the idea of creating a wedding that would be completely personal, unique and special to us. Even in the very first phone call, Gail was already putting forward suggestions that showed her creativity at moulding ideas that would give exactly what I could ever hope for. I knew I needed to feel like me on the day and that’s exactly what Gail considered right down to the tiniest detail. She made the entire process exciting and fun. In fact, the best way to describe it is that we were on a journey-one where ideas would evolve, change and become even better than what we originally planned. Gail had said at the very start that it would be an “organic” process and that was such an accurate way to describe our partnership. With Gail’s meticulous organisation and her ability to keep communication open, despite us not living locally, meant that we always knew we were in safe hands. One thing that will always be clear to anyone who has the pleasure of having Gail as their wedding planner, is that to Gail, this isn’t simply a profession but her passion. This left me in no doubt that not only would everything be alright but that everything would be perfect. 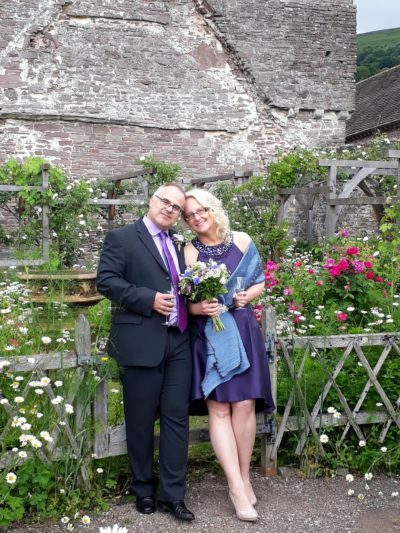 However clichéd I may sound, my wedding day was the best day of my life, genuinely the best day and apart from my husband who stood by my side, it was Gail that made it all happen. On the days leading up to the wedding and on the very day of the actual wedding, everyone commented on how relaxed and laid back I was. How could I have been anything else when Gail had seen to everything, like a genuine fairy godmother? 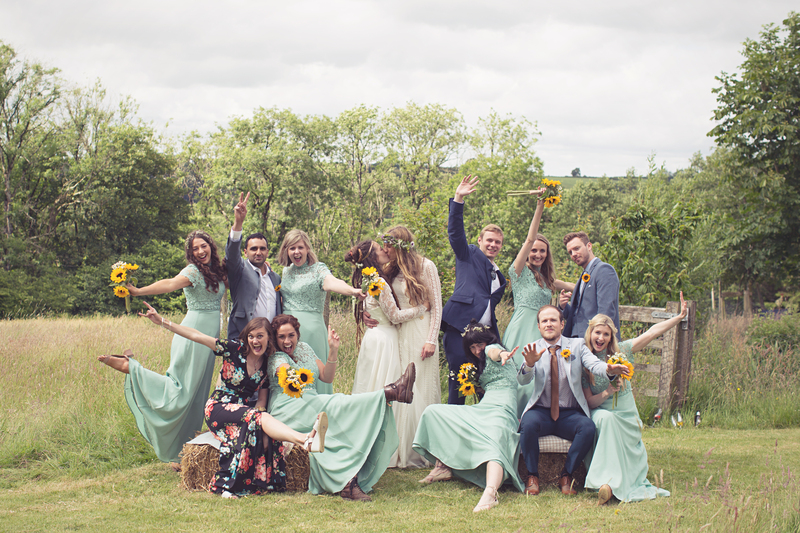 The wedding day was vibrant, colourful, gold and beautiful. Gail showed that elegance and originality can still go hand in hand. I cannot thank Gail enough for all she has done. Her commitment, dedication and professionalism, her ability to advise and be a true friend is simply commendable. My family and I will never ever forget everything she has done. I don’t know how I could ever thank Gail enough. Thank you doesn’t even cover it. On the 16th of August this year, we celebrated the marriage of my daughter, Loyette, to her husband, Matthew Coleman. It was, in every possible way, a day never to be forgotten, not only because we were naturally proud parents at a momentous occasion, but also because of the unforgettable contribution of Gail in her capacity as wedding planner. The venue, Coed Y Mwstwr Hotel in Bridgend, came alive in a panoply of colour, the tables and even the ceiling emblazoned in the most magnificent floral display. Everything, from bridesmaids’ dresses, to chiffon chair ties and even to the wedding cake was colour coded, while specially selected lanterns and gold-embossed fluted glasses suggested a breathtakingly stunning yet subtle Moroccan effect. Indeed, one felt from the reaction of the guests and even the hotel staff that they had not seen the like before. Gail’s management of the day and her unparalleled role in bringing everything to fruition cannot receive enough praise. We can only say, if you want the most magically memorable day for your daughter’s wedding, Gail is the one to manage it to perfection. Thank you for everything Gail, you’ve been amazing from beginning to end! We had the most perfect day & we have only yourself to thank! All the little touches you did were just perfect! I would recommend you to anyone! 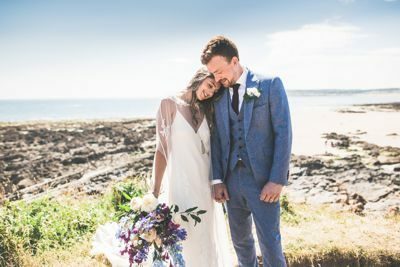 I have just had the most magical wedding conceivable at Oxwich Bay, on the Gower largely made possible by Gail from Eleanor Gail, wedding planner. I was hugely sceptical at first about getting a wedding planner, however during a short lull whilst getting ready on my wedding day I was able to reflect how calm I felt and realised it was because I knew at that very moment Gail was behind the scenes organising all the little details that otherwise would have been mine to deal with. I could take a step back, relax and enjoy myself and why, now I can remember more of that special day than many others can of theirs. I live three hours away from the venue and did not realise how problematic this would be until I started to try and organise the details. By having Gail she was able to source local suppliers, get quotes and make suggestions. She did the bulk of liaising and all I had to do was make final decisions and then leave the rest to Gail. If there were any problems it was Gail who sent e-mails and negotiated. Gail was indispensable in the final weeks before the wedding. She chased up all the loose ends, made sure that I made all payments at the right time and even made my table decorations for me. Without Gail I honestly don’t think my wedding would have been the overwhelming success that it was. Her professionalism and thoughtfulness was exemplary and I would now consider her a true friend. I will be recommending to all my friends to get married in Wales just so that Gail can be their planner. My message, (from a complete convert to having a wedding planner) to anyone who is planning a wedding, or in the final months and weeks of the process would be to seriously consider in engaging Gail to help you. Her presence just on the day of the wedding was worth any amount of money.